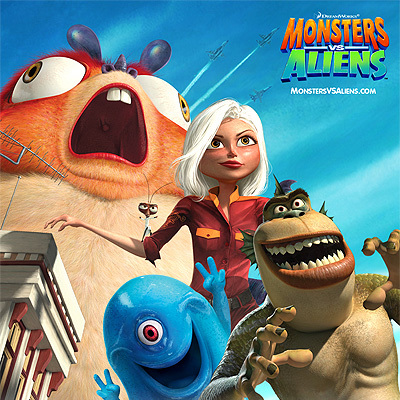 Editor’s Note: In this column animation critic Joe Strike gives us our first review of Monsters vs. Aliens. 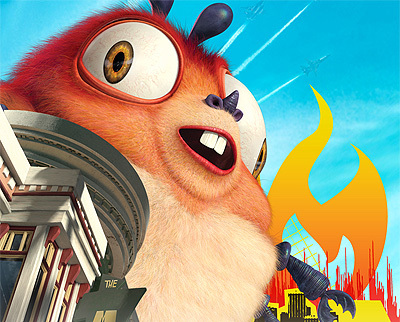 Okay, not every DreamWorks movie can be a Panda or even a Shrek I (where the pop-culture gags were fresh) but to me it felt like they weren’t even trying. The ‘growth’ (there I go again!) of Reese and her fellow monsters into emotionally committed friends was strictly by the numbers. And when the military rewards her with a reunion with her family, why do her monster pals tag along, other than to stuff some ‘monsters freak out her family’ gags into the movie? Throwing something illogical into the script just to keep things moving – even in an anything-goes fantasy film – does a lot to unsuspend my suspension of disbelief.